Bergen County Burglaries - Protect Your Family!| Intruder Detection Systems Inc. If you do not have an alarm system, why wait to be a statistic? A comprehensive study of five years of statistics by researchers at the Rutgers University School of Criminal Justice (SCJ) in Newark found that residential burglar alarm systems decrease crime. While other studies have concluded that most burglars avoid alarms systems, this is the first study to focus on alarm systems while scientifically ruling out other factors that could have impacted the crime rate. 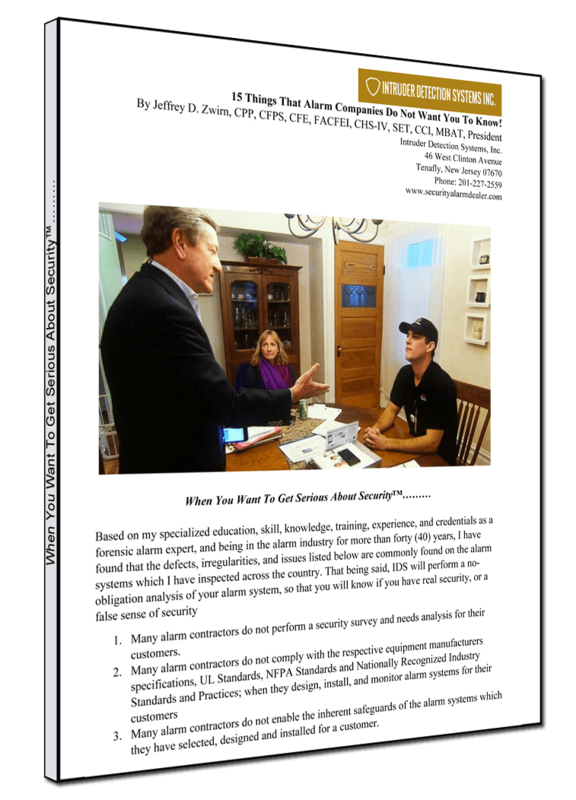 Get a Free Security Analysis and Consultation with Jeffrey Zwirn, CPP, CFPS, CFE, FACFEI, SET, CCI, President Intruder Detection Systems, Inc.
+ Exclusive offer - get our guide on The 15 Things That Alarm Companies Do Not Want You To Know! Your family's security can't afford to miss this information and it will only take a few minutes to read. We'll email it to you instantly when you sign up and confirm your email address. Or call us right away at 201-227-2559 to discuss. + GET THE GUIDE on 15 Things That Alarm Companies Do Not Want You To Know! 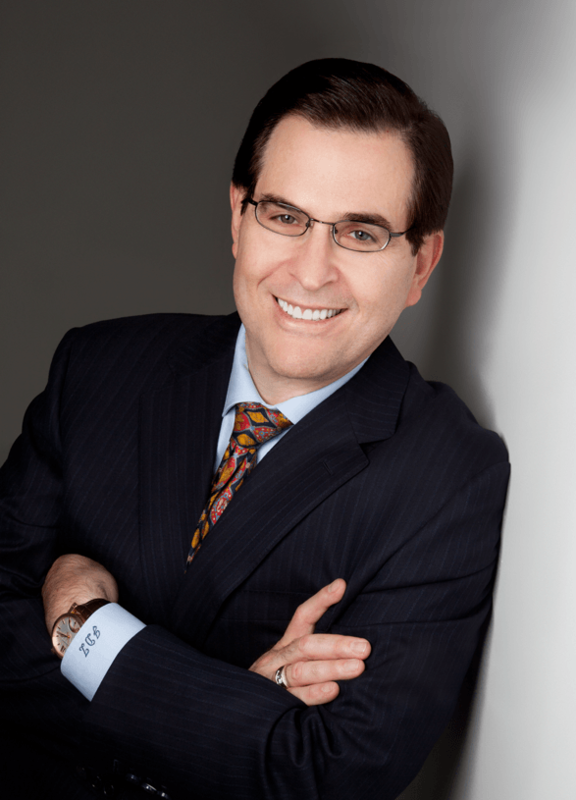 Nationally Recognized Forensic Alarm and Security Expert, Jeffrey Zwirn, President of Tenafly, New Jersey based Intruder Detection Systems, Inc. reports that 80% of the alarm systems which he forensically inspects and tests across the country have serious defects and irregularities in the methodologies utilized by alarm contractors; as to their system’s design, installation, programming, and monitoring. Most troubling is that the customer has no way to know about these dangers, until the alarm system fails, but by then it’s too late. As a result, alarm system failures can increase the likelihood of loss, personal injury, or even death to occupants of the home; whether it be during a criminal event and/or due to a fire, smoke, or a carbon monoxide emergency. Schedule an appointment today for a Free Security Analysis and Consultation with Nationally Recognized Alarm and Security Expert, Jeffrey Zwirn, CPP, CFPS, CFE, FACFEI, SET, CCI, MBAT, President of Intruder Detection Systems, Inc. located at 46 West Clinton Avenue, Tenafly, New Jersey 201-227-2559. When you want to get Serious about Security. IDS is your only choice. What’s worse than no security is a false sense of security…Call today so we can help protect you, your family, and your possessions! When you want to get serious about Security…IDS is your only choice. Get a Free Security Analysis from Nationally Recognized Alarm and Security Expert Jeffrey D. Zwirn, CPP, CFPS, CFE, FACFEI, SET, CCI, MBAT, President of Intruder Detection Systems, Inc.
Intruder Detection Systems offers the following services to help maximize the protection of your home, family, and business. Get your free security analysis and consultation today!